How about Fred in his Modified Roadster. When we discuss the sound while running.......Jerry Jones wins. He did have some puking problems didn't he. Great sounds go with the speed, I have been so lucky over the years to time and see the many records set. Hoping yours will be on the list and record book this year. 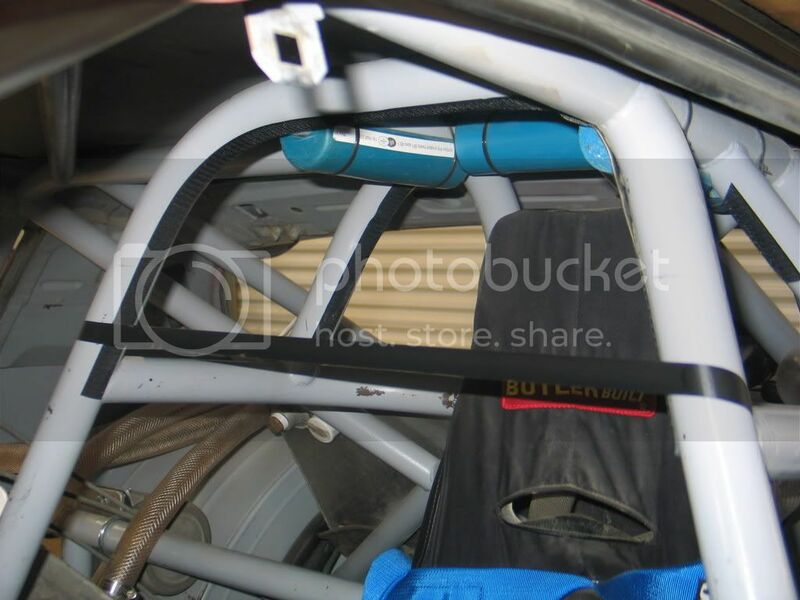 We measured our roll cage for the new roll bar padding and will order soon from Butler. Here is a picture of our funny car style cage. Sounds and Speed----I sure liked my Lakester sound better with 20" Stacks bettter than with a 18"X 4" collector headers---just sounds like a Roadster now at speed!!!!!!!!!!! Our instant center is 102 inches. So that equates to 4 1/2 inches back from the center line of the front wheels. 102 inches was not as far as I thought it was, but still out there. The % of rise was 8% or 1 1/4 inches and the center of gravity was at 15 1/2. Our car is an Alston full chasis set up so what works for us might not work for you. Man I hope you guys run good this year!! Today we did some filing on our old barrel valve and started the car up. The throttle response was much crisper, so we think we are getting closer. We will get the car on the dyno soooooon. 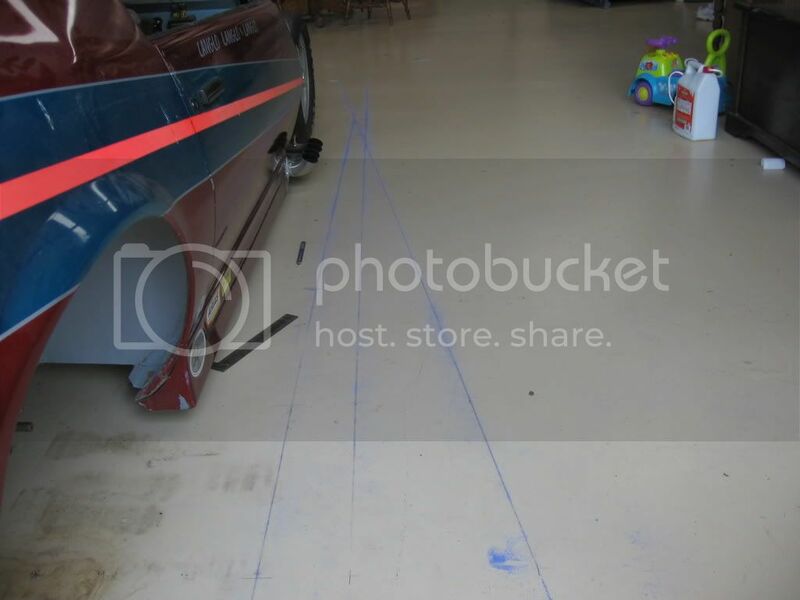 Thought i would try to explain all those lines The straight line next to the car represents the ground then we square off the center lines off the wheels [or axles] the mounting holes for the 4link and the weight distribution point of the car. 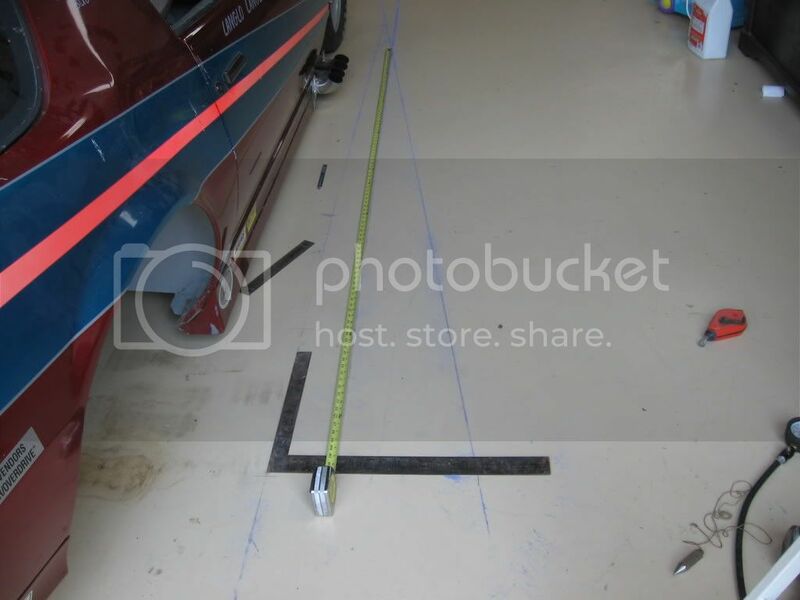 Then we measure the height at the center of the bolts of the 4link bars 2 in front 2 in back [bars are 24- 21''long] then we transfer those numbers to the floor off the square lines then we snap a line off the two top and two bottom marks. Where they meet is called the instant center the distance is measured from rear axle center line to convergence point [102'' for us]. Hope this helps bville racers understand 4links better.With several different mounting holes one can change weight transfer and force to the tires. .......... I guess the question I have is can they do much for us in improving our speeds? In our case by lowering the instant center their is less hit to the tires, or less shock.The light springs do the same thing. If landspeed racers ever read Carroll Smith's book they would get a lot of ideas on wheelspin and how to control it. Most of the problems are wheel rates to high. worse case, solid suspension which he says the wheel rates go to infinity.His book is on roadracing but the principles are the same. Years ago freinds of mine had a modified roadster with wheelspin problems, by scaling the chassis [directions out of Alston book] we could see that they were really planting the tires.In their case a simple fix was to drill bolt holes higher in the top foward brackets,this solved the problem. Engine in roadster is 1925 chev 4cyl. As carroll Smith says don't equate wheelspin with hp. Any how a 4link allows the instant center to be set at a longer and lower spot than a latter bar are other systems. you would be amazed at how soft it is. Pops is working on a new rear spoiler for the car should be done soon. 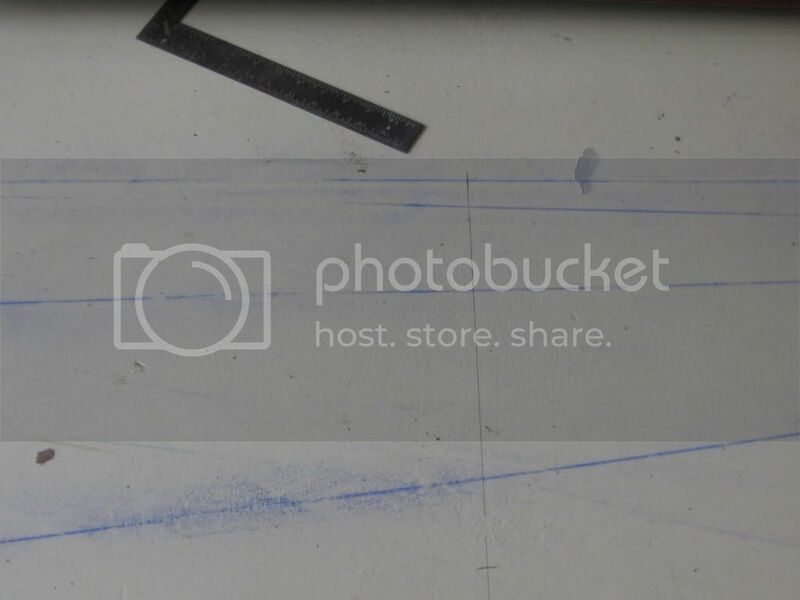 I will post pictures when I can.